Oliver (better known as Ollie) started playing soccer at age 3 with community youth programs in North London, UK. He has played with several clubs at various levels since immigrating to Canada - West Ottawa Soccer Club, Planet Soccer Academy youth elite, and Lyon Duchere (France) to name a few. Ollie started coaching at aged 15 with West Ottawa Soccer, Washington Total Soccer, West Carleton Soccer Club, and WCSS High-school teams. He attends St FX University taking a Human Kinetics Degree. 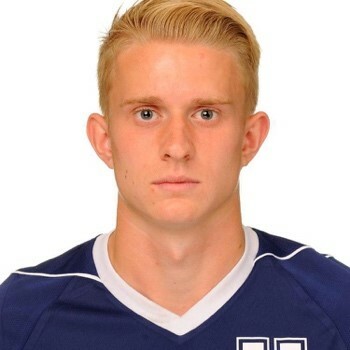 Ollie has been a member of the St FX varsity men’s soccer team for 4 years, and has been hired as an assistant coach for men and women's program at S tFX University beginning this coming fall. He has been coaching with Highland FC under various roles since the winter 2015 season. Ollie is also a certified FIFA Futsal referee. Ollie aspires to coach soccer at the highest possible level and is currently completing his Canadian C License as part of the pathway to a Pro License.